Relief organizations have calculated that as much as 75% of foreign aid by industrialized nations is directly tied to promoting exports of goods and services that support jobs in donor nations, achieving greater trade access in receiving countries or other economic and political strategies. Some of the aid comes with so many strings attached, including preferential tendering on contracts and the hiring of expensive consultants, that only 30-40% of dollar value is ever realized for the intended recipients. Then the rampant official corruption in the developing world further eats away at a big chunk of what is left. To make matters worse, the increasing percentages of budgets and GDP claimed by debt repayments take away money needed for basic human development needs, such as education and healthcare, in the developing world. 4. Even after the planned tripling of the US aid to $1.5 billion a year to Pakistan, it still amounts to about $8 per Pakistani. Last year, remittances to developing nations grew by 8.8% to $305 billion, more than three times the official development aid, according to World Bank. Official development assistance received by Pakistan has not been particularly effective, according to media reports attributed to UN findings. 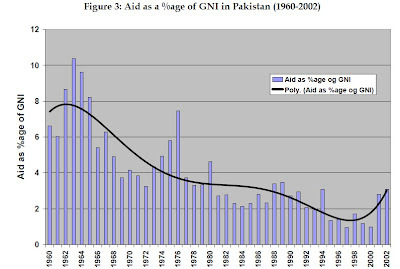 A United Nations report titled "U.N. reforms and civil society engagements" in 2008 claimed that Pakistan has received 58 billion dollars in foreign aid from 1950 to 1999, however it systematically underperformed on most of the social and political indicators. 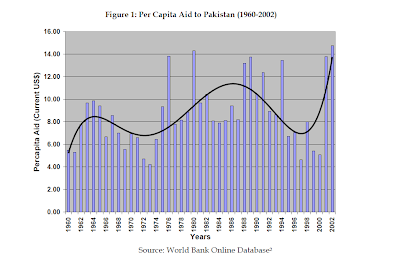 The report further added, "If Pakistan had invested all the ODA (official development assistance) during this period at a real rate of six percent, it would have a stock of assets equal to 239 billion dollars in 1998, many times the current external debt." At the end of calender year 2008 in Pakistan, remittances topped 7 billion dollars, an increase of 17 per cent year over year, led by higher remittances from oil-rich GCC countries, which grew by 30 per cent year on year. Similarly, FDI inflows jumped 100 per cent year over year to 708 million dollars in December, 2008, as the telecom, oil and gas, and financial-services sectors continued to attract foreign inventors, according a report in the Nation newspaper. Annual cash remittances from overseas Pakistanis and foreign direct investments (FDI) in Pakistan earlier this decade have been far larger and much more significant in its rapid growth than all of the foreign aid put together. Last year, remittances to various other Asian countries were as follows: $8.9 billion for Bangladesh, $27 billion for China, $30 billion for India, $6.5 billion for Indonesia, $2.2 billion for Nepal, $1.8 billion for Malaysia, $16.4 billion for the Philippines, $2.7 billion for Sri Lanka, $5.5 billion for Vietnam and $1.8 billion for Thailand, according to International Labour Organization estimates. While government and multilateral financial institutional programs do help to some extent, it is the privatization of aid, trade, remittances and investments for the poor through various investors and donors, such as private corporation, foundations and the immigrants working in the rich countries, that provides the best hope to ensure that the funds and the practical benefits reach the intended recipients. Such a strategy minimizes the role of the politicians and the corrupt officials in both the donor and the recipient nations. Business Recorder reported that Pakistan’s Foreign Direct Investment has declined by 8% during the first eight months of current fiscal to USD 3.0421 billion against USD 3.306 billion in the same period of 2008. The Review of Economic Situation released here on last Monday for July to March 2008-09 showed that FDI declined in Chemical and Petro-Chemicals by 15.4% to USD 72.3 million from USD 85.5 million during the period under review. The cement sector received 64.9% less FDI during the period under review against the same period of last year. The FDI inflow in cement sector squeezed to hardly USD 31.3 million this year against USD 89.1 million a year ago. Automobile sector received 64.5 million FDI during July & March of current fiscal which is 12.2% less from USD 73.4 million a year ago while FDI in power sector declined by 5.7% to USD 140.4 million from USD 149 million in the same period of 2008. The FDI in communication sector declined by 12.7% and shrank to USD 806.1 million against USD 922.2 million a year ago. In financial business, the FDI dwindled by 28.7% during the ongoing year to USD 672 million against USD 942.7 million in the same period of 2008 while in personal service it declined by 3.2%. According to the economic outlook, Pakistan External Debt and Liabilities have risen to USD 49.7 billion during at the end of March 2009 against USD 46.3 billion at the end of June 2008. The EDL recovered in the Q3 and actually fell in absolute as well as relative terms between end December 2008 and end March 2009, mainly because of lower than anticipated net disbursements and positive translation impact of appreciation of dollar versus Yen, SDR and Euro. External debt stood at USD 49.7 billion or 30.7% of the projected GDP for the 2008-09 at the end of March 2009 which is higher than end June 2008 stock of USD 46.3 billion or 27.6% of GDP. It implies that EDL grew both in absolute and relative terms during July to December period but witnessed some correction in the Q3. Almost all categories of EDL barring Paris Club, Eurobond and military, have witnessed increase; however, highest increase in absolute term was recorded in debt stock owed to the IMF as a result of inflow of USD 3.1 billion on account of Stand by Arrangements signed with the IMF in end November 2008. On the liabilities side USD 500 million are added by Bank of China. Thank you for your kind interest in the work of OPP Institutions. Details and updates can be found on our website www.oppinstitutions.org . Low cost sanitation program of the OPP - Research and Training Institute has expanded thru partners (both govt. and NGOs/CBOs) in all of Karachi as well as in more then 20 cities/towns and about 100 villages, benefiting more then 2.5 million people. The credit program of the OPP - Orangi Charitable Trust has extended to many Urban and Rural areas covering 42 towns in Sindh and Punjab with Rs. 1.134 billion revolving and 97,150 borrowers. N.B for the Wind Turbine. Just go on the net and search for Karachi wind turbine. You will get the information. 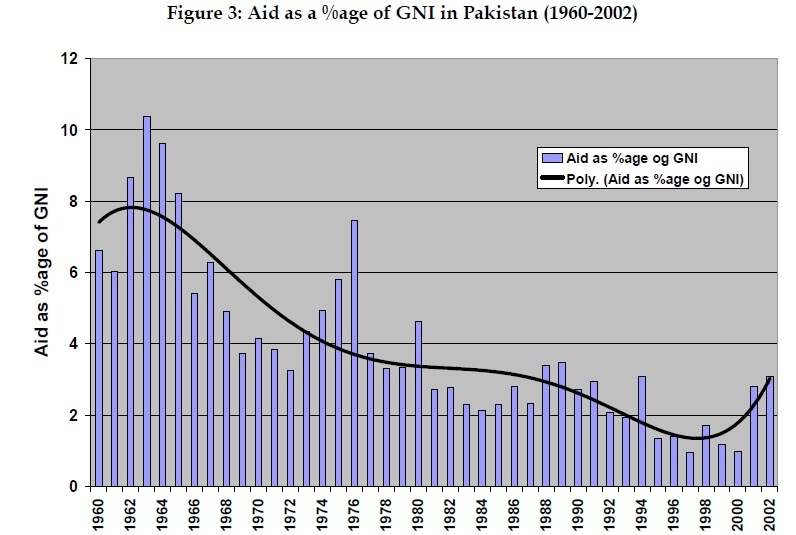 The second focus of U.S. aid to Pakistan should be helping to provide jobs. Improving Pakistan's educational system, especially for women, is important, but if this only produces unemployed and embittered graduates, the effect will be only to increase Islamist radicalism. Because the ultimate motivation for U.S. aid to Pakistan is not charitable but political, it must bring visible benefits to ordinary Pakistanis. Dakar, 10 February 2011 – High-level West African political leaders are joining forces with a broad coalition of African and South American smallholder and global farmer organisations to launch a huge new offensive demanding the phasing out and elimination of rich world trade distorting subsidies in cotton. The release this week (Wednesday 9th February) at the World Social Forum of a new updated version of the Great Cotton Stitch-Up report by Fairtrade reveals that in the nine years since the Doha Development Round was launched in 2001, the United States and the European Union paid out a staggering USD 31.4 BILLION in subsidies to its farmers so squeezing out 10 million West African cotton farmers from trading their way out of poverty. In addition, the West African Economic and Monetary Union (UEMOA) is also prioritising and upgrading the cotton subsidy issue and will shortly be unveiling its own offensive in Brussels as the European Parliament prepare to vote on the €55 billion Common Agricultural Policy reform in June. 2011 is a crucial year for the global trading system. This summer the European Parliament will begin reform of the €55 billion Common Agricultural Policy subsidy regime, the US Congress begin work in framing a new Farm Bill while attempts to revive the stalled Doha Development Round culminate in a World Trade Organisation Ministerial, expected in November. The report’s launch comes as Mali Minister of Industry, Investment and Commerce, Ahmadou Abdoulaye Diallo confirmed his country is seriously considering taking the US to the WTO Disputes Panel Settlement over its USD 24.45 billion subsidies, potentially leading to retaliatory action against the US by suspending protection of US intellectual property. He also states Mali will veto the entire Doha Trade deal over the issue so further reigniting what is the most vivid example of trade injustice. ......Like many government-run hospitals in Pakistan, Lady Willingdon struggles to provide even basic care. The hospital, built by the British in the 1930s before Pakistan's independence, was meant to house 80 patients. The country's population has since boomed, forcing officials to cram 235 patients into a facility that is now run-down. Paint peels off the concrete walls and black mold covers the ceilings. There are only three working infant incubators, which were donated by NGOs, said Mohammed Athar, the doctor who runs the nursery for premature babies. The hospital is forced to use overhead warmers for other infants, leaving them more exposed to disease, he said. "Without incubators, it's useless," said Athar. The $16 million offered by the U.S. would have been used to purchase 10 incubators, build a new 100-bed ward and expand the nursery and emergency facilities, said Sharif, the hospital administrator. The U.S. has financed similar efforts to transform two hospitals in southern Sindh province that treat tens of thousands of patients every year. The head of the Punjab government, Shahbaz Sharif, tried to justify his decision to spurn American aid following the May 2 raid that killed the al-Qaida chief not far from Pakistan's equivalent of West Point. He said at the time that Pakistan needed "to break the begging bowl" and "get rid of the foreign shackles." The U.S. operation outraged Pakistani officials because they were not told about it beforehand. Sharif is a leading member of the main opposition party in the country, and many viewed his decision as a way to siphon votes away from the Pakistan People's Party, which controls the federal government. The Punjab government spokesman declined to comment on this interpretation. Sharif and other members of his government are unlikely to feel much personal impact from the move to turn down U.S. aid. Free government-run hospitals like Lady Willingdon are mainly used by the poor, who are already suffering from Pakistan's weak economy and surging inflation. Wealthier citizens opt for more expensive private institutions in Pakistan or abroad. A large chunk of the American assistance, $100 million, was to be used to rebuild schools in southern Punjab destroyed by last year's devastating floods. An additional $10 million was meant to improve municipal services like clean water and sanitation. The money will now be redirected to other areas of the country, said the U.S. Embassy. Washington has continued several programs in Punjab that don't run directly through the provincial government, such as rehabilitation of power plants and small grants to female entrepreneurs in flood-affected areas, said the embassy. The loss of aid for schools, water and sanitation also won't be felt acutely by the elite. Most send their children to private schools and live in leafy parts of Lahore dotted with Western restaurant chains, polo grounds and cosmetic surgery centers. The Sharifs own property in London worth millions of dollars. Rupees 114 billion ($1.3 billion) were disbursed to Pakistan in 2011-12 according to the Economic Affairs Division data, however, budget documents reveal Rs 226.1 billion ($2.6 billion) as revised foreign inflows for the year. The rupee-dollar parity taken for the budget 2011-12 stood at Rs88. The economic managers budgeted Rs 413.9 billion as foreign inflows for 2011-12 but were compelled to revise the amount downward to Rs 226.1 billion due to three major factors. First, the International Monetary Fund (IMF) did not extend a Letter of Comfort which is a prerequisite for programme lending (budgetary support) by other multilaterals (World Bank and ADB). This resulted in the non-materialisation of Rs 118 billion budgeted for the year under programme loans. Second, Pakistan had estimated Rs 44 billion under Euro Bonds but this also did not materialise due to international financial crisis as well as Pakistan's domestic economic crunch. And finally, the tensions between Pakistan and the US post-Salala led to considerable reduction in releases under Coalition Support Fund as well as under Kerry Lugar package. Documents available with Business Recorder reveal that the country received Rs 89 billion ($1.01 billion) from multilaterals; $497.2 million from the Asian Development Bank (ADB), $479 million from the World Bank and $35.4 million from the Islamic Development Bank (IDB) while the amount received from bilaterals stood at Rs 23.9 billion ($271 million). The US remained the major grant provider to Pakistan during last fiscal year despite the fact that relations remained tense between the two for the latter part of the year. The US released $114 million to Pakistan with $2.7 million released by Bureau for Population, Refugees and Migration (BPRM), $0.4 million by the US government, $1.8 million from Office of US Foreign Disaster Assistance USA OFDA, $108 million from USAID, and $0.5 million released by then United States Department for Agriculture. During the last fiscal year, Australia released $23 million to Pakistan, Belgium $8.8 million, Canada $13.3 million, China $0.5 million, Denmark $1.6 million, UN $50 million, European Union $13.5 million, Netherlands released $18 million and $86 million from other bilateral donors such as UK, Germany, Switzerland, international private donors and France, etc. The United States has disbursed $ 2.8 billion in civilian assistance to Pakistan since the passage of the Kerry-Lugar Berman Bill in 2009, according to the State Department. “While figures for this fiscal are not yet available, since the passage of the Kerry-Lugar-Berman legislation in October 2009, the US government has disbursed $ 2.8 billion in civilian assistance, including approximately USD 1 billion in emergency humanitarian assistance,” the State Department said in a statement. The non-humanitarian civilian assistance funds are spent in five priority sectors: energy, economic growth, stabilization of vulnerable areas, education, and health. In 2011, the US supported construction of 210 kilometers of road in FATA and Khyber-Pakhtunkhwa, funded the world’s largest Fulbright exchange program, and sponsored initiatives promoting private sector growth and civil society development in Pakistan. prosperous, stable, and democratic state, which serves the national interests of both the United States and Pakistan,” the statement said yesterday. “Civilian assistance to Pakistan has been ongoing throughout the closure of the Nato supply lines and has continued after their opening,” the statement said. ...Boost in Chinese investment has sparked resentment in southern Pakistan, where activists accuse China of trying to be a new colonial power. A bomb blast recently hit near the Chinese Consulate in Karachi — an ominous sign of the rising tensions. When Bashir Qureshi, a politician in his late 40s, died unexpectedly last month, the medical examiner said it was a heart attack. But Qureshi's friends and family don't believe that. Instead they claim there's been a conspiracy, and that Qureshi was murdered. Poisoned, in fact — by China. China and Pakistan have been allies for decades, and China recently pledged to greatly increase its investment in Pakistan, from $7 billion to $30 billion a year. Maleeha Lodhi, a former Pakistani ambassador to the U.S. and Britain, says that money couldn't come at a better time. "Let's face it: Foreign direct investment into Pakistan has plunged to a historic low," she says. "In this environment, when you have China — the second-largest economy in the world — stepping up to the plate and saying, 'We're prepared to help you,' at a time when others are shy of coming into Pakistan, I think that more than offsets the fears that some may have." The late Qureshi complained that China's big construction projects rely on Chinese workers and Pakistani migrants. Pakistan received over $72.26 billion in the shape of grants and loans from different countries and international financial institutions during 1985 to June 2012. 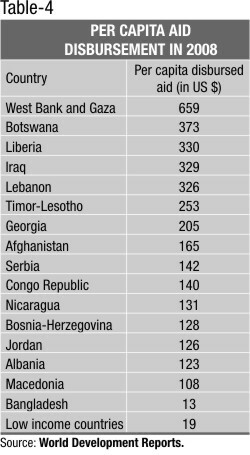 During this period, 24 countries and 13 different global lending agencies gave loans of over $59.24 billion to Pakistan while 32 states and 13 financial organisations lent country over $13.02 billion in the shape of grants. Cash received against IMF stand-by programme is not included in these figures, it has been learnt. According to figures released by Financial Division, from 1985 to June 2012, Pakistan received $15,937 million from Asian Development Bank (ADB), $11,076 million from IDA, $5,842 million from IBRD, $5,717 million from Japan, $6,457 million from IDB, $3,666 million from USA and $3,400 million from China. The report further revealed that Pakistan received $6.37 billion during former Prime Minister Muhammad Khan Junejo’s regime while $23.01 billion in Musharraf era whereas the incumbent government received $14 billion until June 2012 from different countries and global financial institutions. MANSEHRA - Over the next two years, USAID will provide $15 million for the construction and rehabilitation of seven Faculties of Education buildings across Pakistan. ISLAMABAD: Around 71 percent of the total amount worth $3.172 billion disbursed by the United States under the Kerry-Lugar-Berman (KLB) Act was off-budget assistance for Pakistan in the last three years, official sources in the Finance Division confirmed to The News. Both Pakistan and the US confirmed that a major chunk of money continued to pour outside the government of Pakistan’s channel. “The total amount disbursed to Pakistan from October 2009 to September 30, 2012, since the adoption of the KLB legislation, is around $3.2 billion. 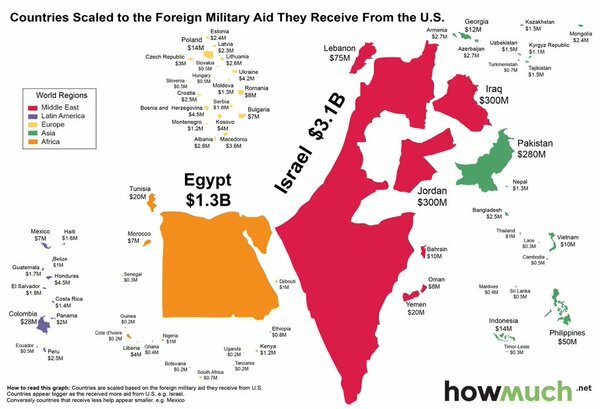 If you’d like the exact figure, it’s $3.172 billion,” said spokesperson of the US Embassy in an email message. When contacted, Federal Secretary Economic Affairs Division Javed Iqbal confirmed that so far the United States has disbursed $3.197 billion for development in the last three years. “There are ongoing projects with an estimated cost of $754 million at the moment,” he added. Official data suggests that the on-budget assistance from the US stood around $350 to $375 million per annum – almost the same pattern followed by Washington in the aftermath of 9/11 when Pakistan decided to side by the country in the war against terrorism. ..renowned economist Dr Ashfaque H Khan said that Pakistan received $14.950 billion from US since 2001 till August 1, 2012, of which $9.8 billion was received as Coalition Support Fund (CSF) and the remaining $4.8 billion for economic assistance. On average, cash inflows stood at $437 million per annum in the last 12 years. Against the total losses of $68 billion incurred by Pakistan’s economy, the United States reimbursed just 14 percent or $9.8 billion. However, US spokesperson stated that US assistance to Pakistan has delivered real results for various sectors of the economy. “US has added over 400 megawatts to the power grid – enough to supply electricity to nearly 900,000 households, or roughly six million people,” she said. In view of the energy sector, key projects funded by the US include power plant renovation at Tarbela dam, modernising generators at Mangla dam, upgrading Guddu, Jamshoro and Muzaffargarh power plants, and building Satpara and Gomal Zam dams. US funds certain projects that will provide electricity to an estimated two million households in 2013. For the education sector, she added, they were building and renovating 800 schools and providing scholarships to 12,000 students to attend universities in Pakistan. Washington is also helping Pakistan in creating jobs and increasing incomes with programmes that boost agricultural output, build roads, and help entrepreneurs grow their businesses. Furthermore, US has funded the construction and rebuilding of over 650 km of roads in Khyber Pakhtunkhwa (KP) and the Federally Administered Tribal Areas (FATA), while the Peshawar Torkham highway’s reconstruction is underway. In a statement, US Ambassador Richard Olson said that he was struck by the economic potential Pakistan possessed and the industriousness and vitality of its people. “Washington helped train 14,000 Pakistani farmers to better protect their livestock from diseases,” he said. Karachi: Unilever Plc., through its wholly owned subsidiary, Unilever Overseas Holdings Limited on Tuesday committed to invest circa €400 Million (US$514m Million, Rs.50 Billion) in acquiring the 24.92% of issued shares in its Pakistan subsidiary, Unilever Pakistan Limited, that it does not already own. This follows price and buyout threshold determined by the Special Committee constituted at the Karachi Stock Exchange as per applicable delisting regulations. €400 Million is the single largest foreign direct investment in the recent history of Pakistan and underlines Unilever’s commitment to a business established in the country in 1948. For the last 65 years, Unilever has been working to create a better future every day for millions of Pakistanis, with brands and services that help people make sustainable living a common place. There is hardly a household that does not daily use one of its 27 brands in the home care, personal care, foods, beverages and ice cream categories. It directly employs 2,000 individuals in addition to generating a further 6,000 jobs in the value chain. Over 95% of what it sells is manufactured in Pakistan. The company ranks as the Most Preferred Employer amongst business graduates. Under the Unilever Sustainable Living Plan, the company focuses on improving health and well-being, enhancing livelihoods and reducing the environmental impact. The aforementioned investment is subject to approval by Unilever Pakistan’s shareholders at an Extraordinary General Meeting to be held shortly. In their annual letter published on Tuesday, Bill and Melinda Gates addressed a number of claims about global poverty often used to argue against giving aid to countries that need it most -- and debunked each and every one. Myth No. 1: Poor countries are doomed to remain poor. Fact: Citizens of countries once said to be "trapped in poverty" are now earning competitive salaries. Since 1960, China’s income per person has increased eightfold and India’s has quadrupled. Even smaller countries are seeing vast improvements. Botswana, for example, has witnessed a 30-fold increase in per capita income, Bill Gates noted. Myth No. 2: There is no hope for Africa. Fact: Africa has its share of problems, but the continent has also come a long way on a number of fronts. Since 1960, the life expectancy of women in sub-Saharan Africa has increased from 41 to 57, the chairman of Microsoft said. Whereas an estimated 40 percent of African children were in school in 1970, now more than 75 percent are pursuing education. Also, the number of AIDS-related deaths dropped 38 percent in Eastern and Southern Africa between 2005 and 2011, according to the United Nations. Myth No. 3: Helping almost every country achieve middle-income status will just make some problems worse. Fact: It’s true that too much development can put a further strain on the environment, but that’s not reason enough to stop helping struggling countries, Bill Gates wrote. The key is simply to develop cheaper and cleaner sources of energy and to recognize that as more people become educated, they’ll be able to tackle these problems on their own. Myth No. 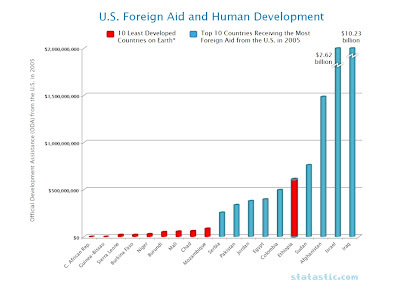 4: Foreign aid is a big fat waste. Fact: We’re not committing as much money to foreign aid as naysayers may have you think. Bill Gates noted that Norway, the most generous nation in the world, allots less than 3 percent of its budget to foreign aid. The U.S. allots less than 1 percent, which comes to about $30 billion a year. While that certainly isn’t pocket change, the context is key, especially when considering where this money is going. It’s being spent on vaccines, education, family planning and other life-saving tools that keep children alive and empower them to become functioning members of society who can make a difference. Myth No. 5: Aid holds back normal economic development. Fact: Simply put, aid gives struggling countries the cushion they need to stand on their own two feet. 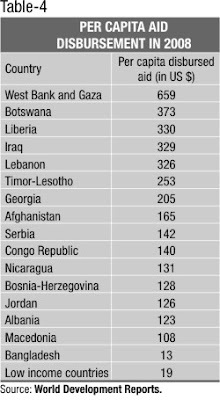 According to Bill Gates, a number of countries that once heavily relied on aid to survive hardly get any today. Those include Botswana, Morocco, Brazil, Mexico, Chile, Costa Rica, Peru and Thailand, among others. Myth No. 6: Saving lives leads to overpopulation. Fact: According to Melinda Gates, parents are actually more inclined to have a lot of kids when they don’t feel certain that their children will survive. In Afghanistan, for example, the child mortality rate is very high, yet Afghan women have an average of 6.2 children each, she noted. So even though more than 10 percent of Afghan children don’t survive, the country’s population is expected to grow to 55 million from 30 million by 2050. Myth No. 7: The world is getting worse. Fact: Yes, there are still plenty of problems that have to be addressed, but we’ve made an incredible amount of progress and have much more to look forward to. India is on track to be officially rid of polio this year, and the world could be polio-free by 2018. Since 1990, childhood death rates have been cut in half and maternal deaths have dropped by nearly the same share, according to the World Health Organization. Anti-female genital mutilation campaigns are making progress in a number of countries, and more women in the developing world are getting access to family planning resources. "It sounds kind of crazy to say that foreign aid often hurts, rather than helps, poor people in poor countries. Yet that is what Angus Deaton, the newest winner of the Nobel Prize in economics, has argued. Deaton, an economist at Princeton University who studied poverty in India and South Africa and spent decades working at the World Bank, won his prize for studying how the poor decide to save or spend money. But his ideas about foreign aid are particularly provocative. Deaton argues that, by trying to help poor people in developing countries, the rich world may actually be corrupting those nations' governments and slowing their growth. According to Deaton, and the economists who agree with him, much of the $135 billion that the world’s most developed countries spent on official aid in 2014 may not have ended up helping the poor."